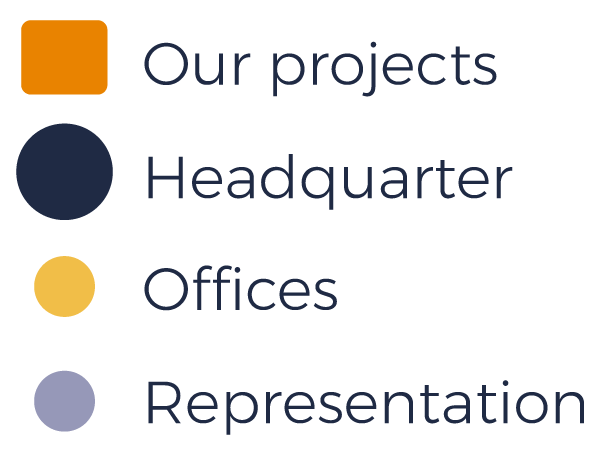 For this national organisation in Cairo, Egypt, we developed a turnkey research centre of 15,000 m2. The facility includes a glass and foil greenhouse, evaporative cooling & recirculation of waste water and our Cycloon for the sustainable supply of clean water. At Bayer's headquarters in Monheim, Germany, we developed a turnkey research facility of 11,000 m2. The complex contains 133 departments, each of which can be individually controlled in terms of climate, water, air, light and transport. 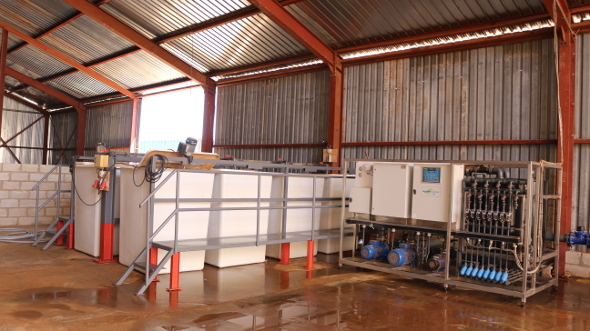 For this producer in Lusaka, Zambia, we developed water and electricity systems for a 50,000 m2 facility. For example, we installed an irrigation system with fertiliser injection unit. 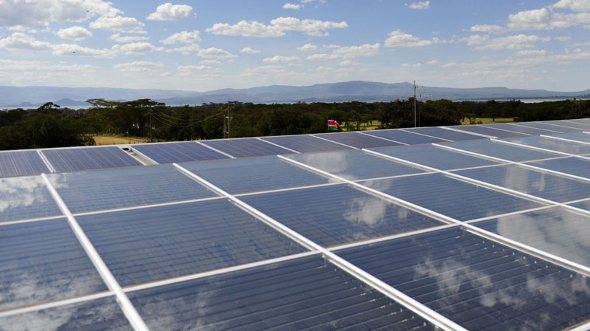 Bosman Van Zaal realised the greenhouse heating using solar energy for this propagator in Naivasha, Kenya. In total we installed 480 m2 solar collectors, 650 m2 PV panels with battery pack, an electric boiler and heat storage tank. 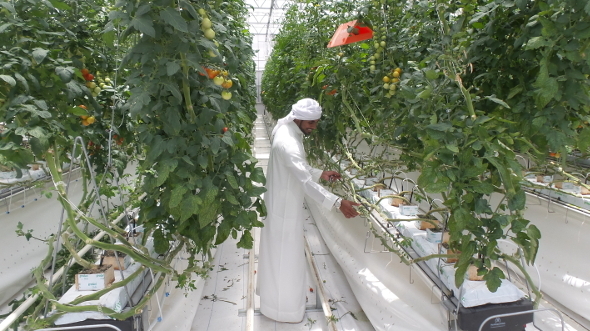 For this Crop Science client in Abu Dhabi, UAE, we developed a turnkey research centre of 4,000 m2. The facility is a combination of a semi-closed greenhouse based on adiabatic cooling and a closed greenhouse based on mechanical cooling. In addition, a water recovery system has been developed and installed. Extremely suitable for these extreme climate conditions. 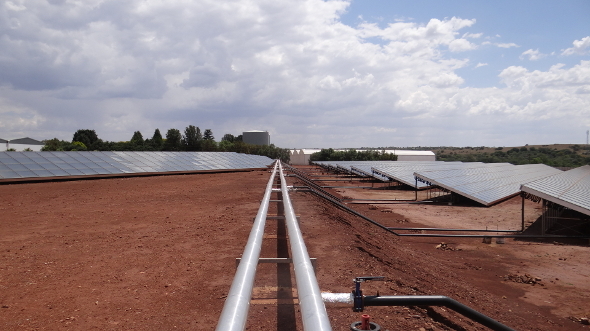 Bosman Van Zaal realised the greenhouse heating on the basis of collectors and solar energy for this producer/producer multiplier in Krugersdorp, South Africa. In total, we installed 9,135 m2 of solar collectors and a heat storage tank of 2,100 m3. .
Bosman Van Zaal developed climate installations and electrical systems for this producer in De Kwakel, The Netherlands. 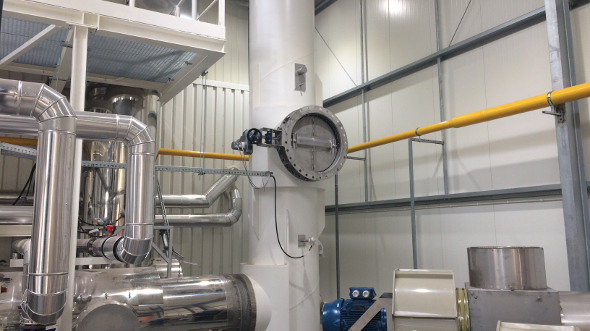 The project comprises a second (extra) flue gas condenser on CHP with water-water heat exchanger, with an average capacity of 475 Kw. Bosman Van Zaal developed the first mobile Grow & Roll system for this water plant grower in Aalsmeer, the Netherlands. 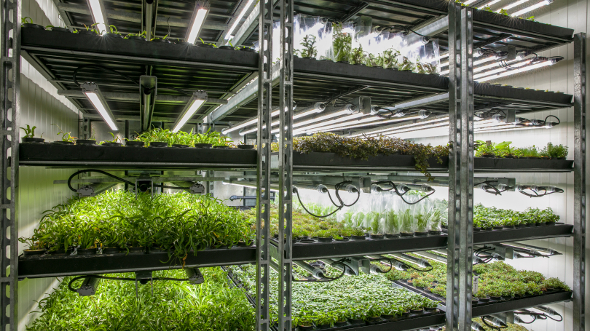 The system is fully integrated in a 20 ft container with a complete movable cultivation system with complete climate and irrigation control. For this propagator we developed the greenhouse and industrial space, a specially designed heat storage tank (WOT) of 457 m3, and climate installations (Greenhouse without Gas). The facility is 71,000 m2. 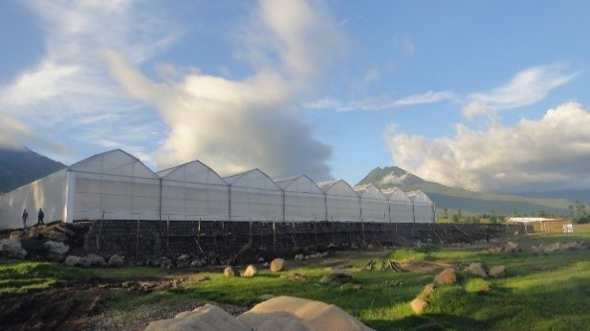 For this propagator in Rwanda, in collaboration with Hoogendoorn and Holland GreenTech, we realised a turnkey film greenhouse with climate and irrigation system for the cultivation of potato planting material. The facility has a size of 5,000 m2 and is located in a challenging environment at an altitude of 2,200 metres. 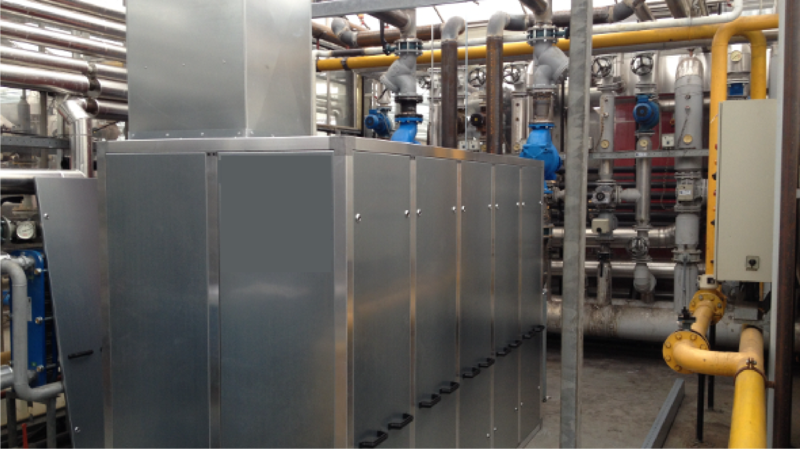 For this producer in Stężyca, Poland, we realised a Greenhouse without Gas using underground cold and hot water storage. 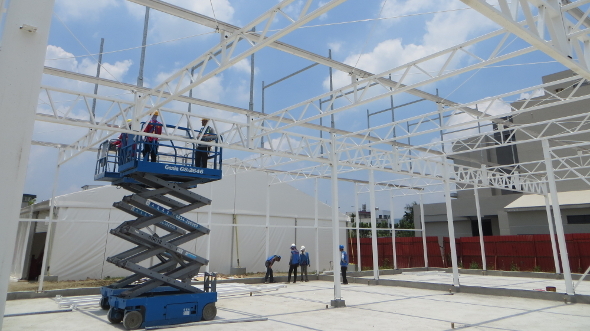 The project included the installation of 1110 fans and 304 air coolers. 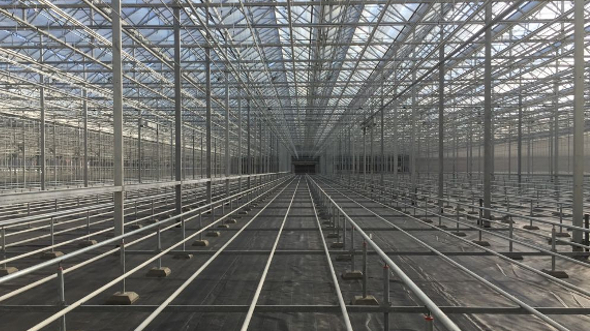 For one of the three largest breeders of arable crops in the world, Bosman Van Zaal realised a turnkey breeding station based on our foil greenhouse. 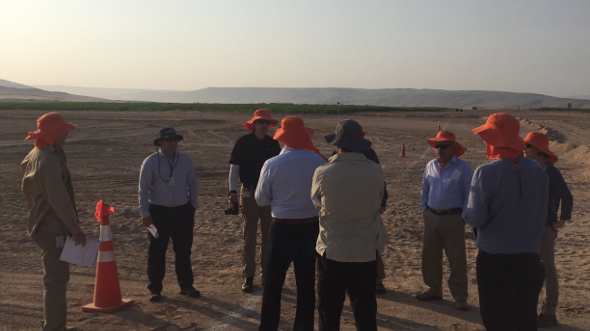 The project is located in a challenging environment; one of the driest deserts in the world. The UV radiation is extremely high and the location is very sensitive to earthquakes. The greenhouse has a surface area of 48,000 m2. 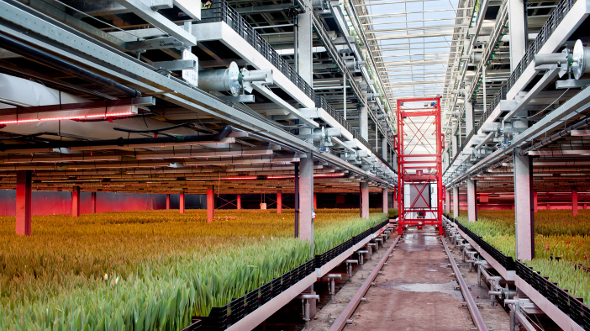 Bosman Van Zaal realised the first New Cultivation concept in the tulip-breedingery. 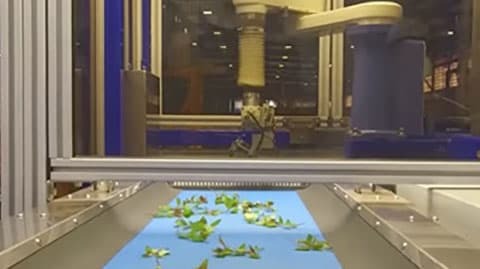 The project is also equipped with a 3-layer logistical cultivation system using an automated two-sided loading / unloading system for container lifts. We developed the Container Transport System for 25,000 bulbs per day. 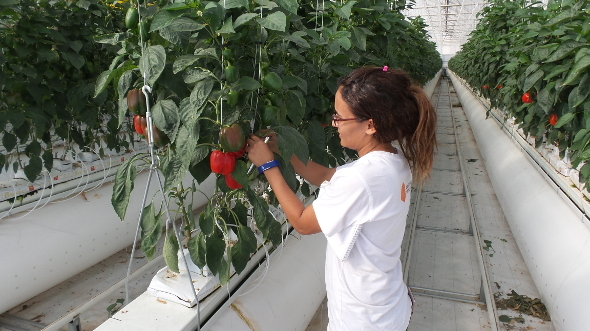 For this producer in Ter Aar, the Netherlands, we realised the climate system according to the Greenhouse without Gas principle. With the help of heat and cold storage in aquifers (95 metres deep and 150 metres separated), we realised the first Greenhouse without Gas. The surface area is 15,000 m2. 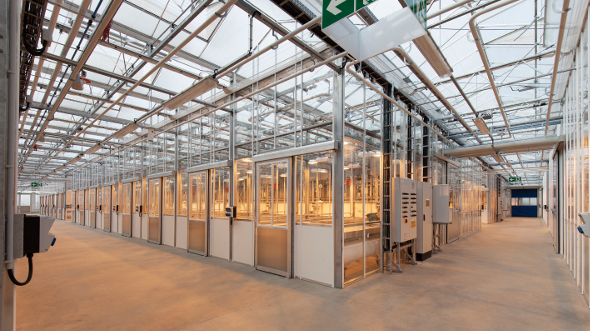 Together with partners AgriNomix, Aris, Indigo Logistics and PhenoKey, we developed a 7,000 m2 controlled environment phenotyping centre (CEPF). 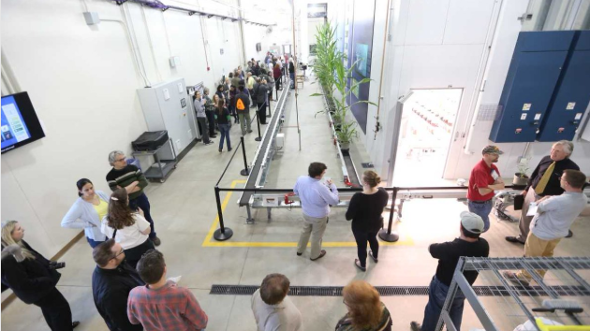 A logistical cultivation system has been integrated into this centre, with which 4-metre high plants are guided through various growing rooms and along hyperspectral cameras. 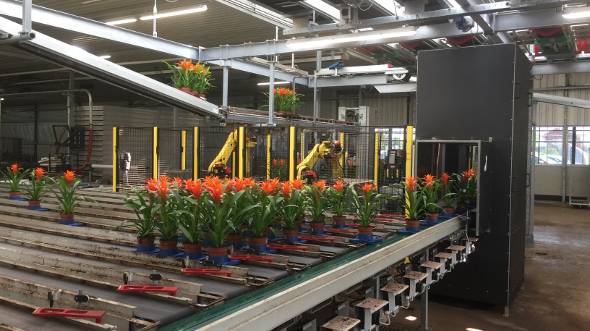 For this pot plant producer in Kudelstaart, the Netherlands, Bosman Van Zaal realised an automated delivery system with robots and cameras that sort plants and/or trays and place them on trolleys. The capacity of the system is 3,000 plants per hour. For one of the most modern Phalaenopsis producers we provide the logistical cultivation installations based on the Container Transport System.  This is controlled via ISAL software, developed by our sister company Indigo Logistics. The cultivation area covers 175,000 m2. 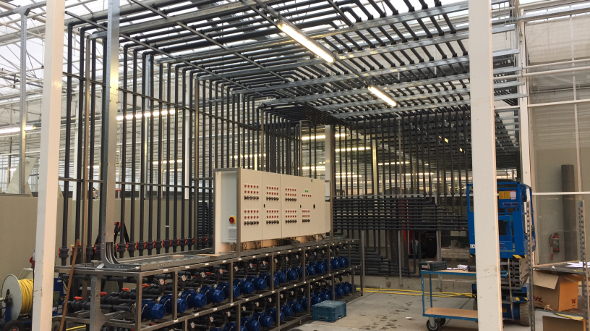 For this leading vegetable seed breeding company in De Lier, the Netherlands, sister company Montera Techniek realised the daily stock irrigation system for the 35,000 m2 facility. 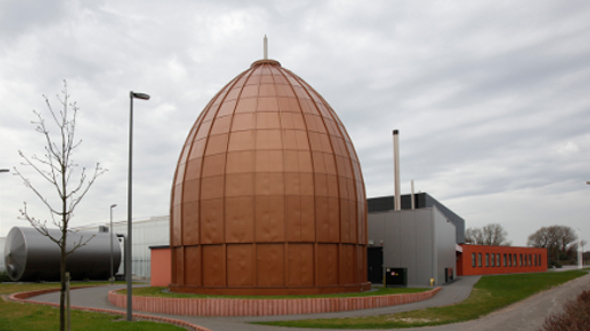 With 34 custom-made storage tanks, the capacity and required flexibility is guaranteed. For CH Biotech in Nantou, a biotechnology company that develops sustainable plant regulators, growth stimulators and advanced fertilisers, we realise a turnkey research facility. 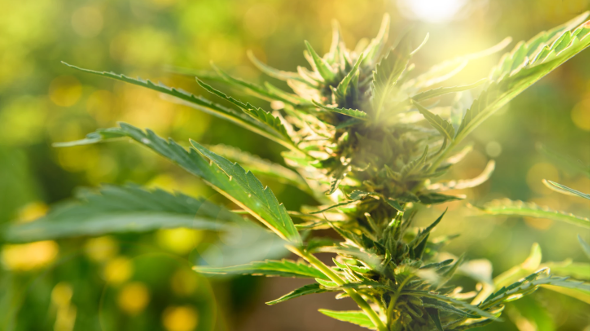 For this listed medical cannabis producer in Canada, we developed the first large-scale, fully automated cultivation system in collaboration with partners AgriNomix, Flier Systems and Indigo Logistics. Part of this project is the development of a completely new container base with aeration holes for ultimate air circulation. 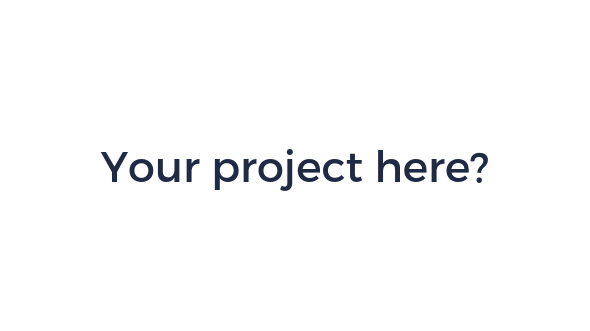 We are happy to help you realise your vision. For an introductory meeting and a quotation, please contact our Sales department via sales@bosmanvanzaal.com.